Sheila Radziewicz has been beating the odds since birth. Because of a congenital birth defect, she was born without arms. She also came into the world without kneecaps and with her feet rotated in, toward each other. She endured multiple surgeries as a young girl, all aimed at helping her walk. Until she was in junior high, Radziewicz had to wear metal braces that stopped at the top of her thigh, similar to the ones the character Forrest Gump wore in the movie. Today, Radziewicz, 32, is not only walking, she is kicking. And next month she will test for her black belt in taekwondo. 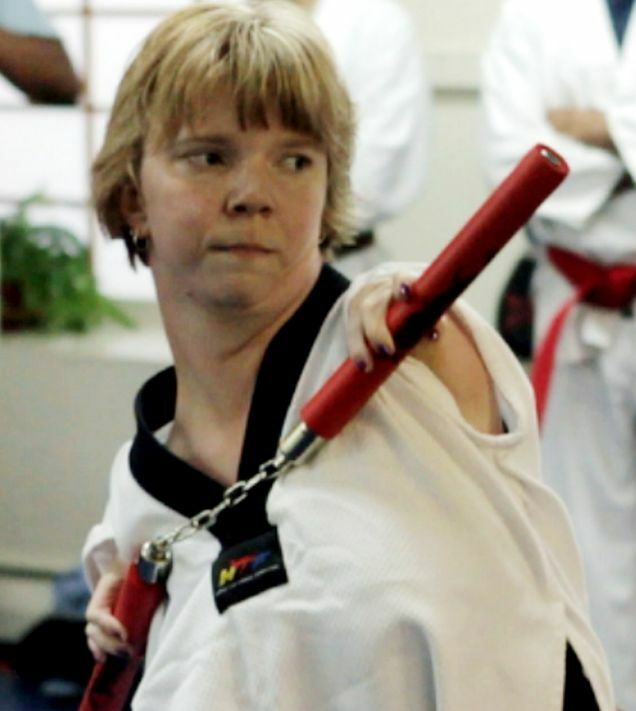 Sheila Radziewicz was scheduled to take her test next month at Bruce McCorry’s Martial Arts in Peabody. McCorry, her teacher, said he’s never seen a student like Radziewicz. 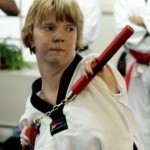 Despite her condition, she can use nunchucks and break boards with her kicks. Reaching such heights in the realm of martial arts is laudable for anyone. For Radziewicz to do it is nearly a miracle. “I grew up with the phrase, ‘The impossible only takes a little longer,'” she said. 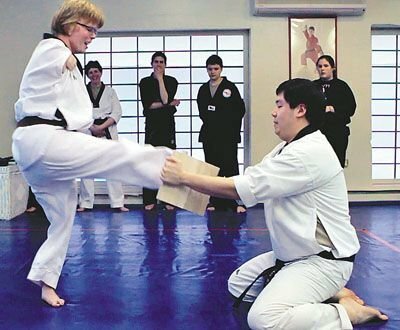 “She is a very motivating person for myself,” said McCorry, who has never had a student like Radziewicz in his 32 years operating a karate academy. “There are no excuses, in other words.” “She never feels sorry for herself,” instructor Sandra LaRosa said. On the verge of her black belt, Radziewicz recently began to share her expertise with children in the studio’s beginner classes. McCorry believes her success can be attributed to her positive attitude. “She can teach us all a lesson,” he said. Life is full of questions and challenges. Nobody’s life is always pleasing all of the time. So life’s lesson is learning how to face, and deal with, the questions and challenges. To pursue challenge means facing defeat or victory. Some people cope with defeat using self-pity or self-abandonment. But there are always some people who are optimistic and positive even in the face of defeat. These firm and unbowed people gain the respect of others. Here is a maxim from Kongzi (Confucius). Many Chinese say: “s?n rén xíng?bì y?u w? sh?”. It means; “If three of us are walking together, at least one of the other two is good enough to be my teacher.”The similar axiom in English is; “there is always someone to learn from.” Sheila Radziewicz the martial-artist is an excellent example.